There are so many types of RVs on the market that you’re bound to find one perfect for you. If you’re not looking for the giant size of a Class A motorhome or a towable such as a travel trailer or fifth wheel RV, you may consider the Class B motorhome. Let’s look at the Class B motorhome including its advantages and disadvantages to help you decide if it's right for you. We’ll also make some recommendations on some of the best Class B motorhomes on the market to look at. Class B motorhomes are compact and smaller in stature when you compare them to Class As. They look like outfitted vans, lending Class Bs the nickname of camper van or conversion van. 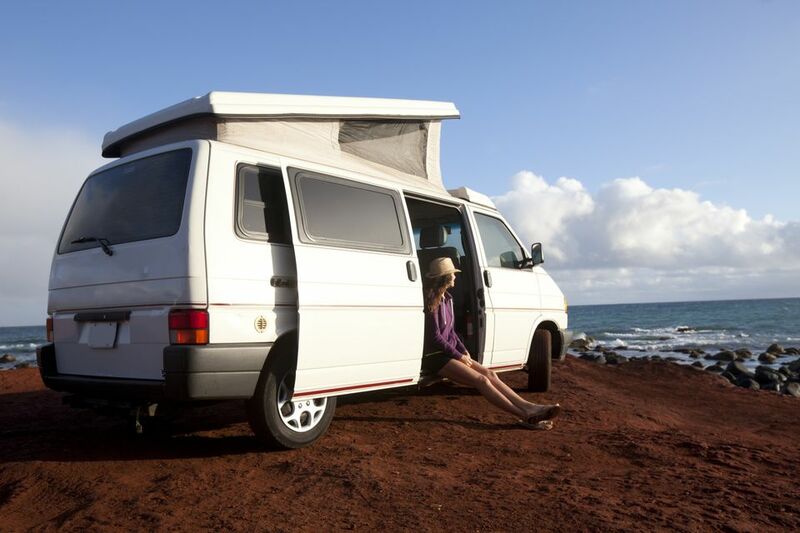 Class Bs are much larger and taller than a typical full-sized van allowing space for living and sleeping. Class Bs are usually the smallest and offer the least number of features when it comes to the different classes of motorhomes. Class B motorhomes offer many advantages that may be more difficult to find in other types of motorhomes. As we stated earlier, Class B motorhomes are the smallest motorhomes. While this may seem like a negative, it does offer several unique benefits. Class Bs are mobile and maneuverable. This means even someone unpracticed in driving a motorhome can get the hang of it even after just a few miles. This also means that the Class B can go most anywhere that standard vehicles can and will often take up just one parking space. If you arrived at your campsite and remembered you forgot the ice, no big deal as you can hop back in and drive to the local store. Don’t get us wrong; class Bs are more expensive than a standard van. They are less pricey when compared to other motorhome options. Class Bs are cheaper at the pump, as they are lighter and can have much better fuel economy than other types of the motorhomes. One of the primary advantages of the Class B motorhome is also a primary disadvantage for some people. Class B is the smallest of the motorhome classes, and that size will be an issue in many areas. The Class B motorhome will not be a good choice for taking out the whole extended family. Class B is designed for a small number of people; five is usually the largest amount that a class B can provide enough room for. This small size also means that you will be hard pressed to outfit the Class B with loads of features and amenities. Try a kitchenette instead of the kitchen, and if there is a bathroom on board, chances are it will be a tiny wet bath. If you’re looking for a lot of space and features, the Class B will not be your ideal choice. Class B is an excellent option for those who don’t want to break the bank on purchasing an RV and don’t need too many amenities to be happy. They tend to travel with just a spouse or small family. The best way to find out if a Class B is right for you is to talk to other RVers who use this type of motorhome. They will give you more direct examples of the Class B’s advantages and drawbacks. Awning: You can expand your living space with an outdoor awning which is standard on most Class B motorhomes. Murphy Bed/In-Couch Bed: Murphy and fold-out beds fold into the wall or furniture when not in use to save space. Dinette/Galley Kitchen: No room for a full-sized kitchen in Class B. Small Stovetop: It’s rare to get more than two burners from a Class B, but two burners are enough for most. Wet-Bath: A wet-bath is combination toilet/shower stall and is the most efficient way to get clean in a Class B.
Sleeps 2-4: Class B is the smallest of motorhomes, so you can’t bring the whole family. Front-Wheel Drive: It’s rare to see an all-wheel-drive Class B through some more rugged models offer a 4x4 option. Fuel Efficiency: Class Bs are traditionally the most fuel-efficient motorhome. Airstream gained popularity due to their sleek silver bullet trailers, but the new Airstream makes one of the most popular and well-rounded Class Bs on the market. Airstream touts the Interstate’s 50 best-in-class features, smooth handling, adaptability, and safety features as part of the reason the Interstate has been the number one selling Sprinter Class B for six straight years. There are multiple Interstate models for different types of RVers, but all come with some nifty amenities like leather seating, solar panels, tankless water heater, anti-fog windshield, and more. If you want a great all-around Class B, the Interstate is your go-to. RV and Winnebago are synonymous and though Winnebago’s days of retro RVs are over - they still make an excellent product. This is perfectly illustrated in the Winnebago Revel. Of our top Class B picks, the Revel is the best combination of sporty and luxurious. Like the Interstate, the Revel utilizes a Mercedes Sprinter chassis to support a strong 4x4 drive. There’s a 140 cubic foot garage to store your kayaks and fishing poles, efficient diesel-powered heating, dinette, wet-bath, and a full galley all packed into this little beast. Not to mention a powerful 3-liter turbo-diesel engine that can take you and these amenities wherever you need to go. The Revel was named the 2018 RV Pro Best of Show. The RoadTrek CS Adventurous is built on the ever-popular Mercedes Sprinter chassis. The RoadTrek is a great Class B for those who enjoy RVing to different types of spots. It can work for an RV trip to Washington DC to see the history of the most remote areas of wilderness. No matter where you take your Adventurous you’ll feel comfortable every time you come home to it. This comfort is found in the exterior’s awning, large frameless windows, and ultra-cool ground effects. The interior offers more with in-floor radiant heat, stand-up or sit-down shower, on-demand hot water, and room to sleep up to six. You’ll feel like you’re checking into a beautiful hotel when you walk into your Adventurous. Class B motorhomes are perfect for those looking to get started RVing but aren’t sure where to start, especially when it comes to towing a trailer. Check out the featured models our use the essentials to pick out a Class B of your very own.